Posted on 12/04/2013 12/04/2013 by magneticdeviationTagged jolly harbour, propeller shaft, transportation. yes I have taken a yacht out in the boatyard and they are very good, and the chandlers have a good stock. but it is the duty on all things into Antigua, you can see why I like to go there. Best wishes Jim. 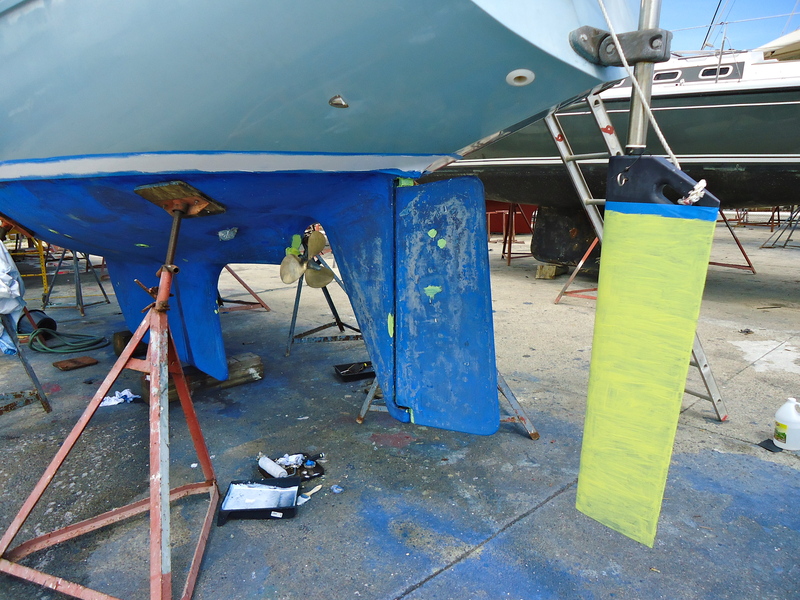 Hi Oliver and Carlotta – I have been busy on a mad project and come back to the blog to find you ‘superyachting’ and antifouling! I’ve managed to catch up with all the vids and blogs – lovely reading and helps make the rainswept UK days bearable. I must say Troskala looks in fine fettle after the Atlantic… your Dad seems to have had the most ‘dinks’ by the sound of it. Hello Mark & Heather. 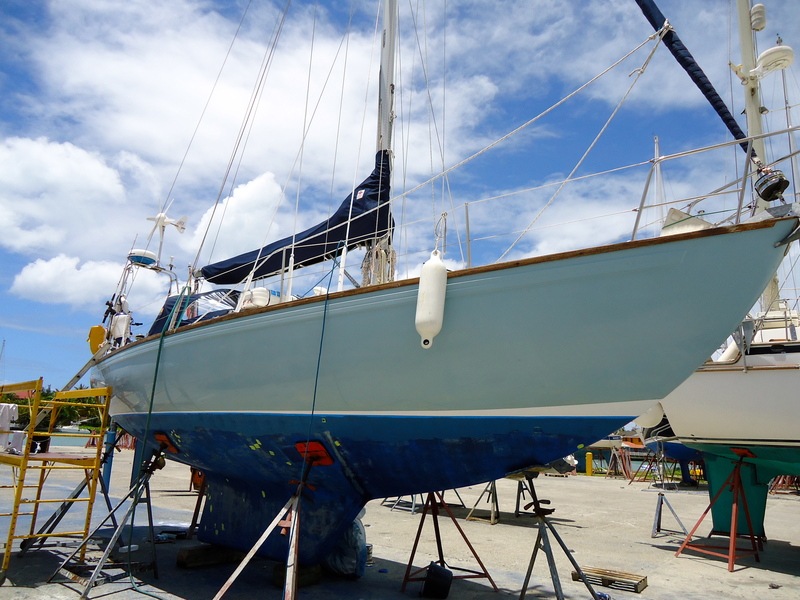 We were missing your comments and we are glad to hear all is well and that Cariblue is back in the water; you must be excited. How was your project? I hope it went well. All is well our end. We are now in St Maarten’s and will be staying here until MOnday due to bad weather (it is blowing 40 knots outside). 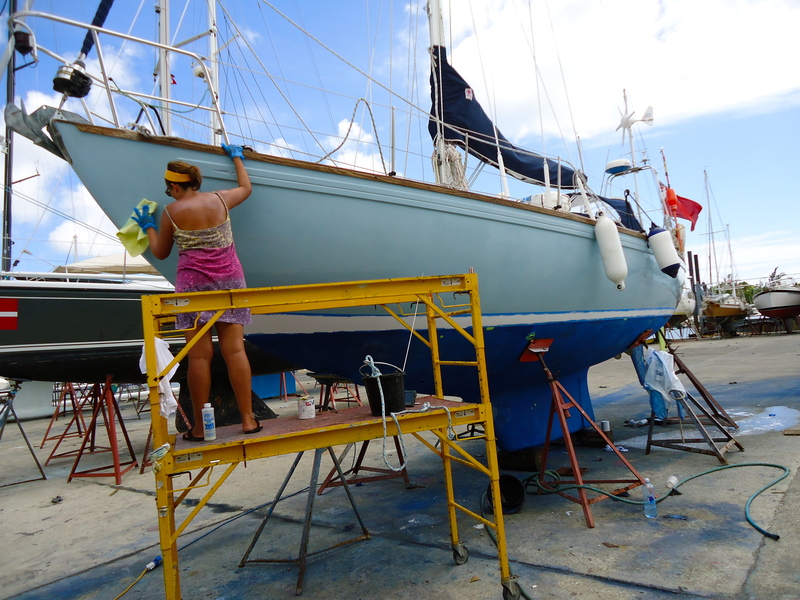 We will continue up to the BVI’s on MOnday and spend a month their. 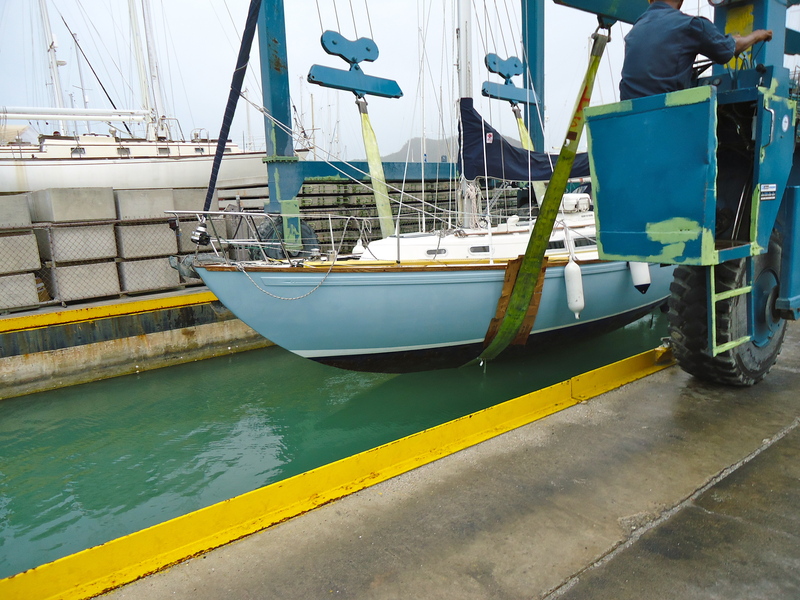 Troskala is doing well although found that some of our engine mounts were loose so spend the day re-alligning the shaft and engine. 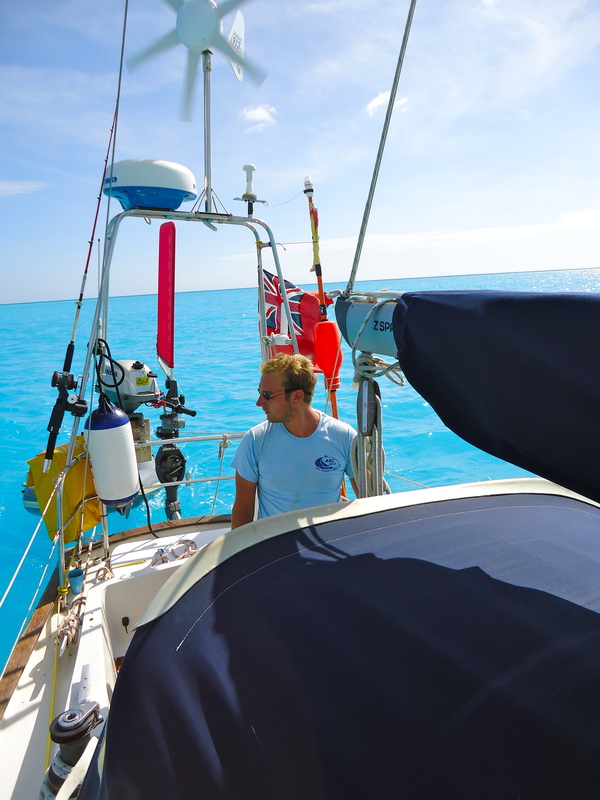 When do you think you will get out sailing in Cariblue and where will you go? I have heard that the weather has improved slightly although a little cold still. I do hope you get at least some good weekends to sail her. 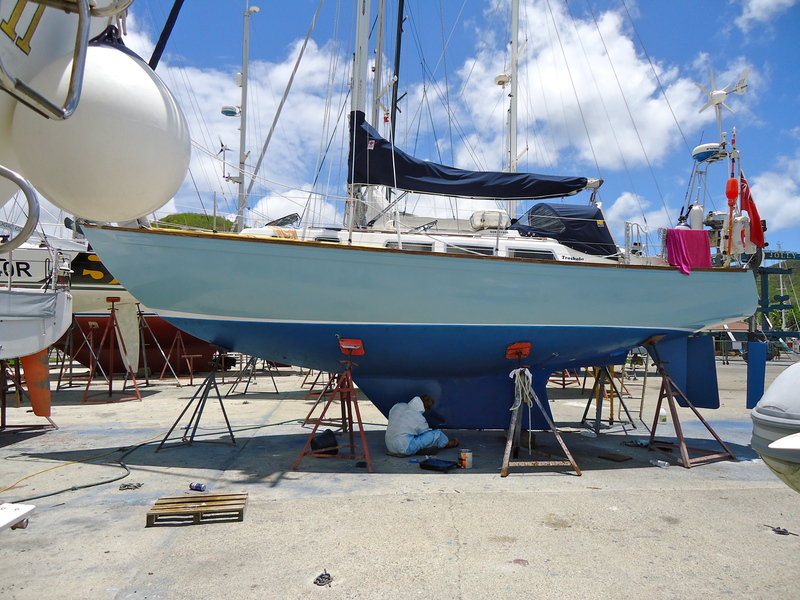 Have you got any big boat projects on the horizon? In regards to the calendars that you so kindly offered us to buy. I spoke with family and crew but they already had a few calnedars and declined so I am sorry about that but thank you so much for including Trosksla on them. Do you have any photos of Cariblue? Anyway, I hope you have some safe sailing trips – send my regards to the Solent. Yes the weather has finally sorted itself out in the UK (for the moment of course!) – the BVI sounds fab I must say! Heather didn’t get as far as that when she did the Arc. Can’t believe the colours of the waters on your pics, real holiday brochure stuff! I guess the engine mounts might have worked a little loose as they are quite new aren’t they? Have you got ‘enclosing’ washers on the nuts I wonder. Very simple little square washers that you bend up to prevent the nuts from undoing. I had them on the Bukh engine in out Sadler but I’m not sure we have them on the Volvo on Cariblue. 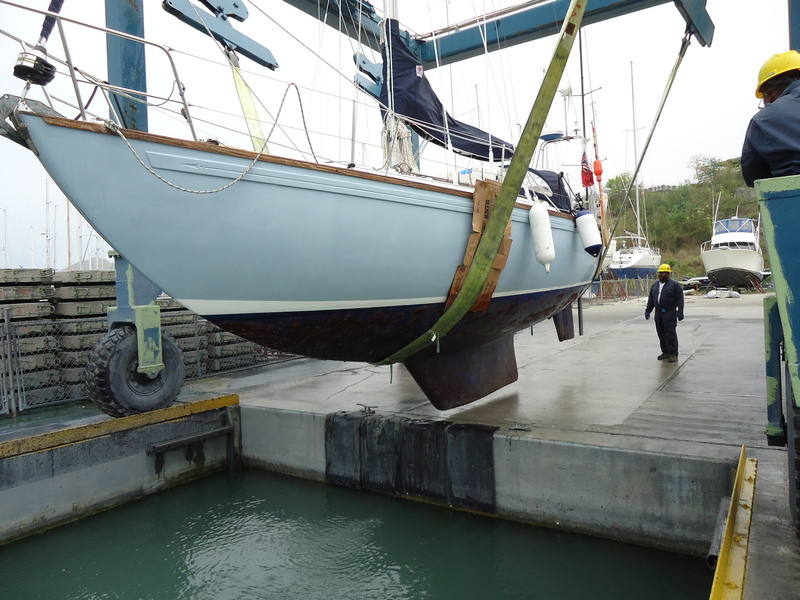 We had a nice 45 minute chat with Darryl at Banks Sails in Southampton – we only went in for battens and have probably come out agreeing to a new main and headsail in 2014! He was very helpful though and showed us all the different materials – n the end he recommended hydranet but not radial cut, a cross-cut. As we are planning the Med in 2016/17 he reckoned a hydranet cross-cut for both head and main. The reasons were: much better UV resistance, less stitches than a radial, will hold shape longer than Dacron and last around 10 years, more affordable than higher spec material, and the cross-cut has rip-stoo in the fabric whereas the radial doesn’t. So you can imagine I am going to research this a fair bit. He said about 1500 for a main in hydranet which seemed a tad pricey but… did you get new sails at any point? Anyhow the first decent weather weekend and we’ll be across the channel no doubt. Can’t wait! Oh by the way the calendar for you was totally free. I ordered you one in honour of your efforts! The ROA had asked me to do the calendar but it was a bit of a disaster as only a few ordered it. I did it just to help them out and for free. Luckily I had already made the decision not to print a batch up and only do them to order, using Apple’s iPhoto (the ROA had told me not many ever ordered them in the past). Doing it this way they were too expensive for most pockets. I shan’t be doing it again! But please do feel free to email me your Dad’s address and I’ll send him the free copy for you. I don’t know if I told you how I repaired the bush in the bottom of the rudder shoe? 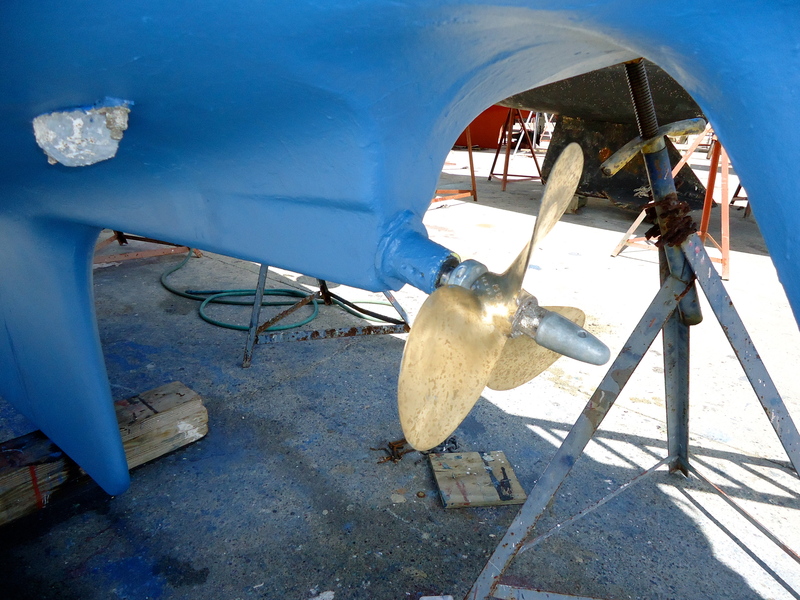 Originally we had a fairly loose ‘feel’ to the rudder, coming from a disappeared bush in the bottom of the rudder shoe. 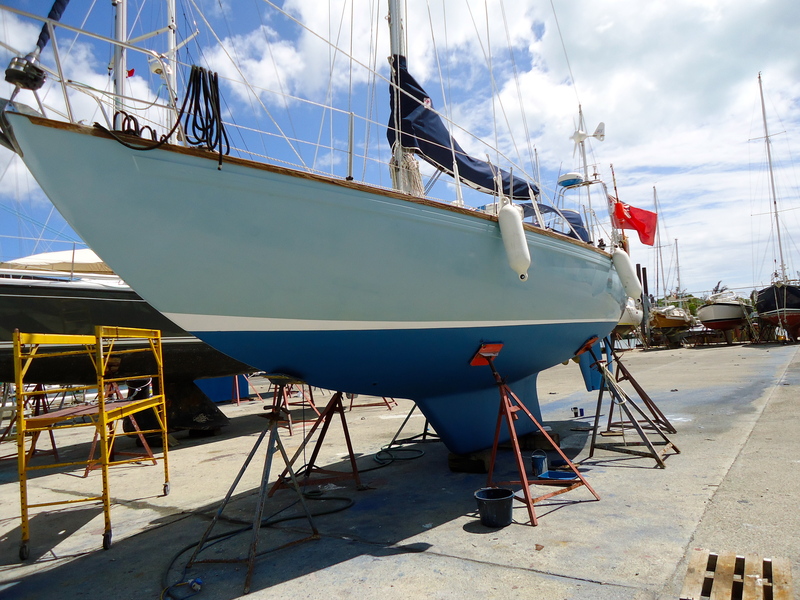 As Cariblue has long been on a drying mud mooring, the mud clogged up the bottom shoe drain hole (at the bottom of the skeg) and the mud collected in the shoe and acted as a grinding paste wearing away the bush. To replace it would seem to involve unbolting the shoe (and this involves cold chisels and hammers etc according to the ROA forum). So I cut a small length of 20mm domestic sink pipe (white polypropylene I think) and then cut a section out of the circle so it became a ‘c’. Then hoisted the rudder up with one hand and eased the ‘c’ shaped pipe over the the rudder shaft at the bottom. Then tapped it into the shoe with a small hammer and a piece of wood. Job done! Cost was nothing as I had a bit of pipe in the garage. I made 2 more as spares and so far this one has lasted the whole of last season and shows no signs of giving up. Of course very easy to replace should it go south anytime! If you ever need one let me know. Anyhow, will keep you posted on any decent trips we do and we look forward to further updates from Troskala.